Mary lives in a world where the Sisterhood is right, the Guardians protect, the fence separating them from the Forest of Hands and Teeth saves lives, and the Unconsecrated kill. But soon she's discovering that the only thing true in that is the last one, because the Sisterhood has secrets, the Guardians are helpless, and the fence has broken down. She must choose between a past and a future, love and happiness, life and death. And most of all, she must choose whether or not to finally learn the truth about not only the world surrounding her but about herself. Carrie Ryan has a distinctive writing style in The Forest of Hands and Teeth that propels the reader through the book even when the plot drags. 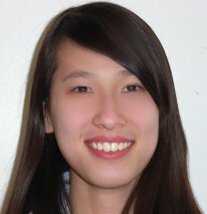 Her beautiful sentences flow perfectly, reaching to the depths of emotion and character, allowing her to express horrific event after horrific event with both grace and impact. The prose is anguished and thoughtful at the same time, but has a certain dreamy quality that makes it read almost like poetry. Mary's conflicted and confused feelings are transmitted directly to the readers, as if they are experiencing everything themselves. Although technically a zombie novel, this is far from the cheesy stories that come to mind with that phrase. The Unconsecrated are painted with horror and sadness, and though their origin is not elaborated on, their shambling, twisted existence is such a constant in Mary's life that it feels as if they are in the reader's own backyard. They are to be feared, but at the same time, Carrie Ryan portrays a sensitivity to them, making them out to not be so much monsters as humans having undergone some terrible transformation. The Forest of Hands and Teeth touches upon themes of love, family, and happiness, all to the backdrop of Mary's horrible world. The beautiful writing is juxtaposed with the chilling events, creating haunting scenes that will stay with the reader long past closing the book. This book stands out in a way many don't, and leaves the reader not only with an eagerness for the next books in the series, but questions to think about. 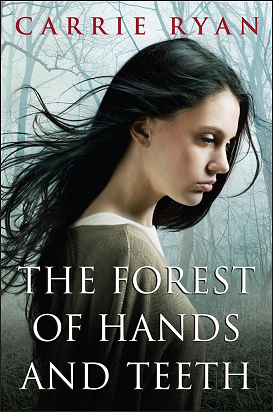 I give The Forest of Hands and Teeth, by Carrie Ryan, 5 stars out of 5.